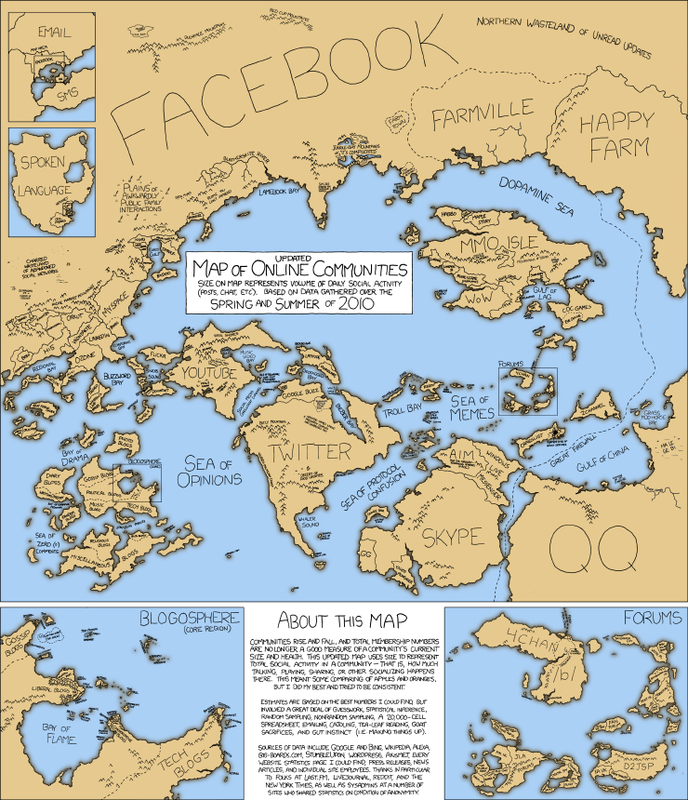 Today the comic site XKCD features a cartographic envisioning of the world of online communities: Facebook, YouTube, Twitter, and so on. I was particularly pleased to find, in the bottom right-hand corner (main figure), a sizable region occupied by our very own QQ! Though I remain hopeful, I have started to suspect that this part of the map might not in fact represent our site. Google informs me that QQ is also the name of the largest instant messaging service in Mainland China. Apparently a lot goes on in China that I don’t know about! Further, QQ has been used as an emoticon for a crying face. A pushpull, qq: quiescence, pp: with extravent intervulve coupling. And, as I’ve known for some time, Quadrivial Quandary is the name of a solo guitar work by Andrew York. While I fully support the process of neologism that gives such variety to our language (I’ll even declare myself a semantic progressive), I must say I prefer the “received” definition of QQ as a challenge in which a writer uses four daily words together in one illustrative sentence. And if this definition is somehow not the received one, I still think it is maximally frabjous.